FNA– A prominent Iranian political activist dismissed the Southern District Court of New York’s ruling ordering Iran to pay more than $6 billion of reparation for the 2001 terrorist attacks, stressing Israel’s role in killing nearly 3,000 Americans at the time. Iran has rejected all cases, but it says it doesn’t recognize the US courts for judging such cases. Nader Talebzadeh, a prominent political expert and activist, referred to the letter, and stressed the need for Iran to end its tradition of not appealing the US courts’ rulings and challenge the mainstream media’s story about the 9/11 incident with the help of the US political activists at the court. He told FNA on Saturday that “the September 11 fact-finding groups are ready to speak to the benefit of Iran in any court and testify that Iran has not been involved in the attack. They are ready to show presence in an official court and elaborate on the 9/11 incident. But the Iranian government is first required to appeal the ruling”. 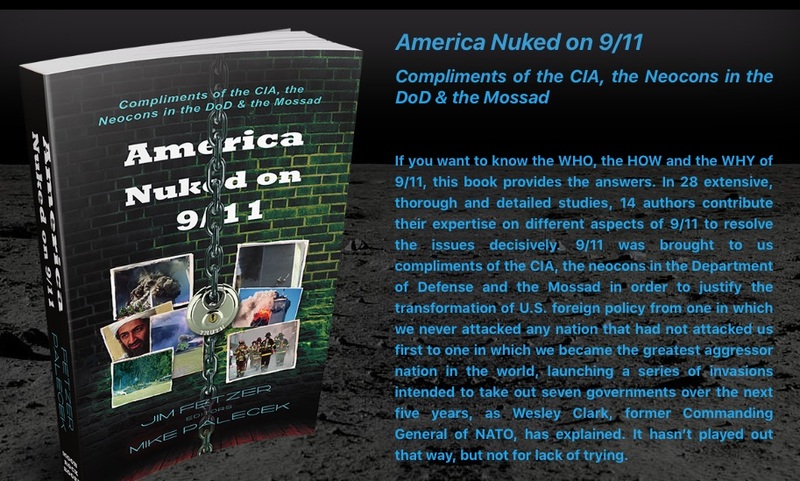 He described the 9/11 as the US Achilles Heel which was used as a pretext for military intervention in Iraq and Afghanistan, stressing Israel’s role in the deadly incident. “There are documents to prove Israel’s role and we should allow the Americans themselves to speak about it. Even the official commission which has investigated the 9/11 incident has clearly underlined that Iran has played no role. How a judge in New York, who has certainly received money from Saudi Arabia and has issued such a ruling for the second time, sentences Iran, and the country does not react?” Talebzadeh said. 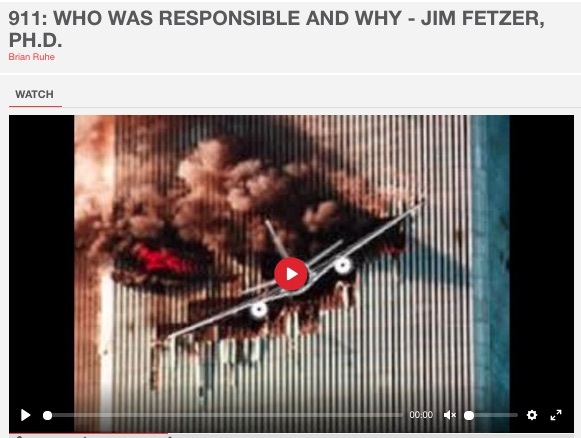 Lawyers Committee for 9/11 Inquiry https://www.lawyerscommitteefor9-11inquiry.org (which on April 10 filed a 54-page petition for a grand jury investigation of 9/11 with the U.S. Attorney of the Southern District of New York). The signatories include David Ray Griffin, Professor Emeritus, Claremont School of Theology; author of 13 books on 9/11, Richard Falk, Professor of International Law, Emeritus, Princeton University, Cynthia McKinney, Ph.D., six-term congresswoman (D-GA) and Green Party candidate for President of the United States (2008), Graeme MacQueen, Associate Professor of Religious Studies (retired), McMaster University; former Director of McMaster’s Centre for Peace Studies and author of numerous articles on 9/11, Mark Crispin Miller, Professor of Culture and Communication, New York University, Piers Robinson, Professor of Politics, Society and Political Journalism, Niels Harrit, Ph.D., Associate Professor (retired), Dept. of Chemistry, University of Copenhagen, Denmark, Oliver Boyd-Barrett, Professor Emeritus of Journalism, Bowling Green State University, Anthony J. Hall, Ph.D., Professor of Globalization Studies, University of Lethbridge, Tony Szamboti, ME, former Lockheed Martin and BAE Systems mechanical design engineer, Ibrahim Soudy, PhD, PE, SE, PEng, Structural Engineer, Ian Henshall, author, 911 The New Evidence, Sander Hicks, Candidate, US Congress, www.hicksforcongress.com, Michael Santangelo, Co-Facilitator for Truth Action Project, New York City, Kevin Barrett, Muslim-Jewish-Christian Alliance for Truth; author, Questioning the War on Terror, www.scientistsfor911truth.org Scientists for 9/11 Truth Science professionals seeking new and independent investigations into the attacks of September 11, 2001, In early May, Southern District Court of New York issued a default judgment requiring Iran to pay more than $6bn to victims of the September 11, 2001 attacks that killed almost 3,000 people, court filings show. Another plane, reportedly targeting the White House, crashed in a field in Pennsylvania after passengers confronted the hijackers. Thanks Dr.Fetzer for all your fine work. I think there is a reasonable argument to not respond to a court that has no jurisdiction or is making ludicrous charges. The Zionist puppet state of the USA has no right to tell Iran suddenly they owe damages. Iran is not our parasite. Our parasite is the Federal Reserve Bank branch of the BIS. The Swiss harbor the BIS in Basal and also provide soldier protection of the Vatican eventhough it is located in Rome, Italy. To see the tentacles of the Zionist power, you need to see the British role in Israel creation. The Zionists are the arm of the Vatican Devine Right to Rule. That bunch of EuroTrash are our parasites. Vampires, sure, blood suckers. The TransGendered hords of puppets in plane view are there through an ancient Vatican program of TransGenerational Satanic Allegiance. The Pope gives you a piece of his mind while standing in the head of the snake in the Garden of Eden. The finance behind the Devine Right to Rule is how the USA is controlled. Our Revolution story is just that, a story. We remain a controlled colony. Our educational system makes no attempt to establish the explanation of the true power grid. Every element of power you see is working against your best interest. The USA is not Babylon, it is the OutBack Serfdom of the EuroFinance Cabal. Can the case be appealed to a court without a conflict of interest?